The Echo Brickell in the area of the same name is a 57 story “boutique” building featuring a curved design courtesy of architect Carlos Ott. It's actually one of two buildings bearing the Echo name, the other located in Aventura. At 635 feet, it's one of the taller buildings in the city of Miami. 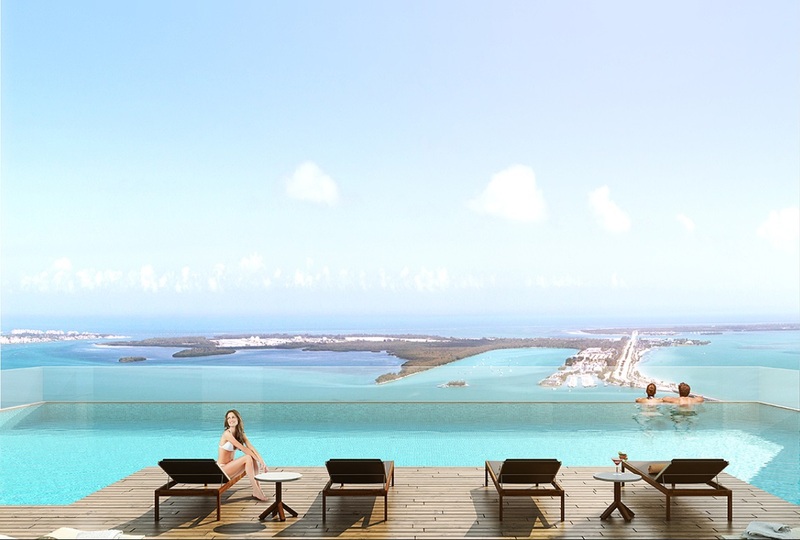 You'll find a number of modern features which begin with the robotic parking system and a full floor swimming pool overlooking Biscayne Bay and Downtown Miami. 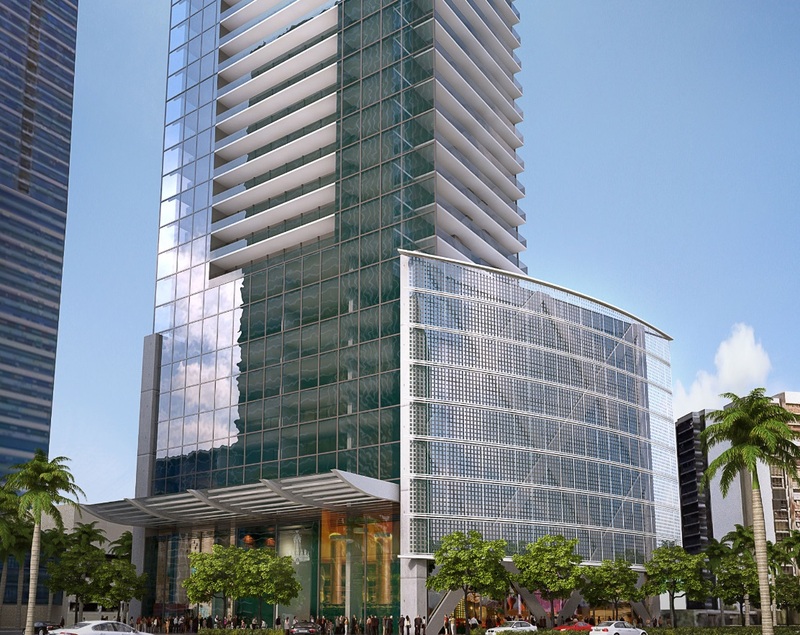 There are 180 Brickell condos for sale within Echo, most of which are move-in ready. Ten, twelve and fourteen foot ceilings are some of the residential features along with fluid layouts and four foot hallways. 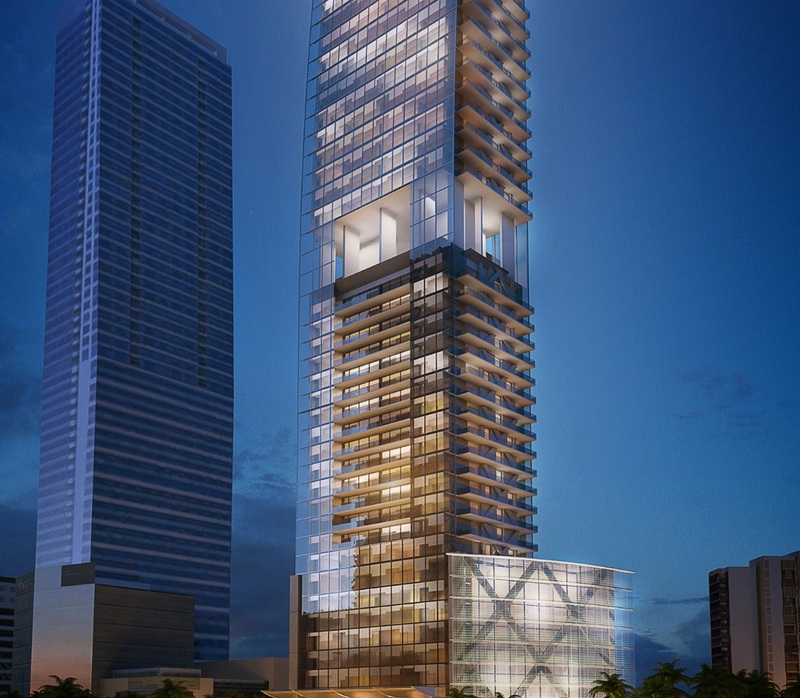 Echo Brickell's bedrooms, bathrooms and kitchens are also described as the largest of any building of its kind. 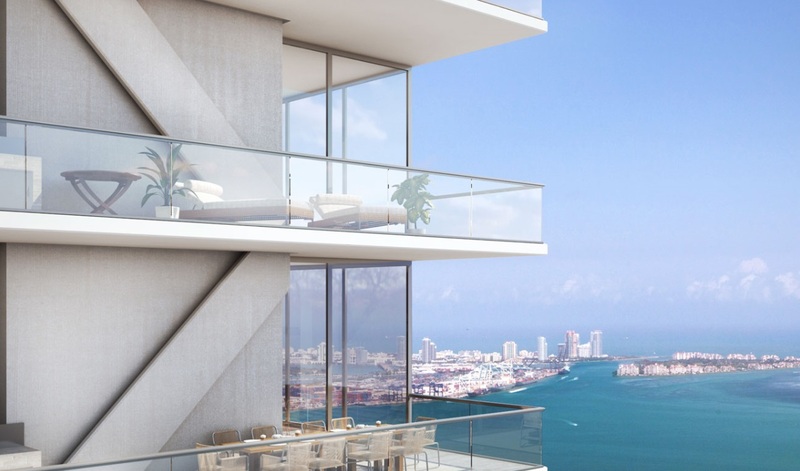 Considering the penthouses are over 7,000 square feet, Echo's claims may be true. 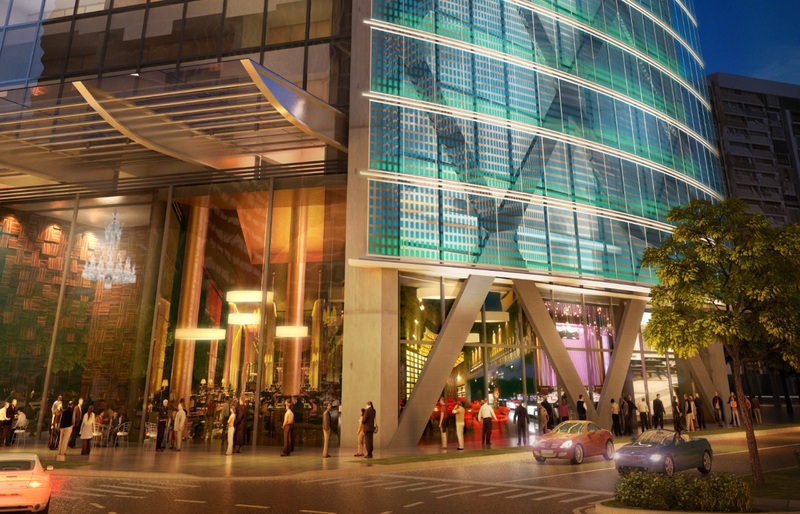 The Brickell area has a lot of sights to explore that are near Echo Brickell like the Four Seasons Hotel and Mary Brickell Village. Alice Wainwright Park intersects Brickell Avenue and Rickenbacker Causeway which leads to Virginia Key and Key Biscayne, two islands with beaches and parks. Head north to visit Downtown Miami or northeast across Biscayne Bay and the barrier island of Miami Beach is there for you to enjoy. Semi-private elevators with biometrics technology.